I hope you have had wonderful festive season with your family & loved ones. I've been home with my family, I've eaten enough delicious food for four and have loved every bit of it. Now there's only a few more days left of 2016 & I thought I would share a few things I am looking forward to doing a little more of in 2017. Since moving to London I have found myself cooking less, but I want to make an effort to undo this and actually start cooking more again. 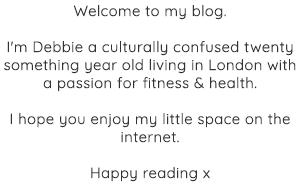 I want to try more recipes & hopefully share some of the successful ones with you too. I love people. I love spending time with people. But in 2017 I look forward to spending more time with myself. Without a screen & without being connected 24/7. I want to become more comfortable in my own company. By now you all know I love travelling. But sometimes you don't even need to go that far to have the best adventures. In 2017 I want to go on more Europe City adventures. There are so many amazing European cities that are still on my hit list, so 2017 will be the time to make it happen. I want to make sure I grab more opportunities in 2017. And make sure I am working hard to make the most of the opportunities that come along throughout the year. I want to care less about what people think. And particularly be less INFLUENCED by what people may or may not think. There are a number of things I didn't do or say in 2016, because I was worried about what others might think. So in 2017, I want to get over it. So these are some of the things I am looking forward to doing in 2017! 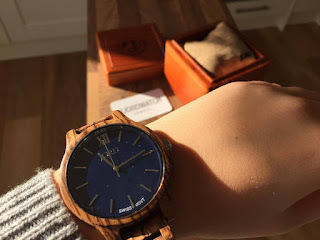 a few weeks ago Chris from JORD Wood Watches got in touch asking if I wanted to review one of their wood watches and of course I said yes, because how cool do they sound? So a week later I had this gorgeous Frankie watch made from Zebrawood with a navy face in my hands. One of the reasons I chose this particular one was because I loved the colour of the face, plus I feel like navy macthes most colours. And I mean ZEBRAwood - how exotic does that sounds? My first impression was that the packaging was amazing & the watch was remarkably light. The watch is definitely a statement piece as it's quite big and chunky. But because it's made from wood it's really light which makes it super easy to wear. I also really enjoy how different this product is, who knew you could make a whole watch out of wood? If you go on their homepage you can read about the 13 different woods they use & each of the wood's characteristics. 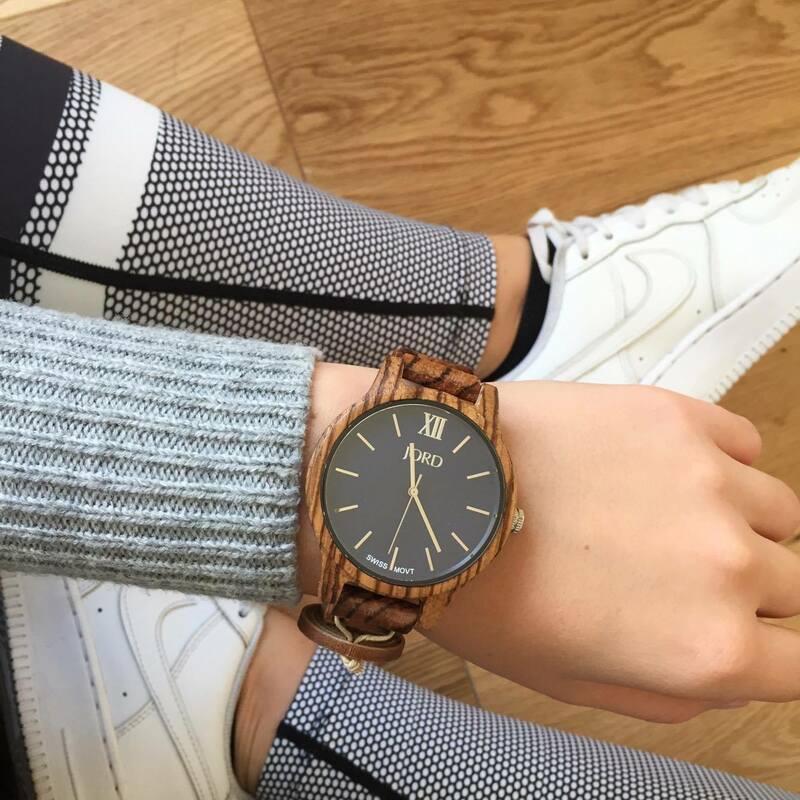 If you are looking for something a little different and like statement pieces I think the JORD Watches are perfect! However, I do think that if you like more delicate pieces, its a little hard to find one that you will like. So if you are looking for a present for someone special or just yourself (because you are special) then a JORD Wood Watch might be the answers. I'm looking forward to styling this unique Wooden Wristwatch during the festive seasons, I think it will give outfits a warm & narture-y twist. 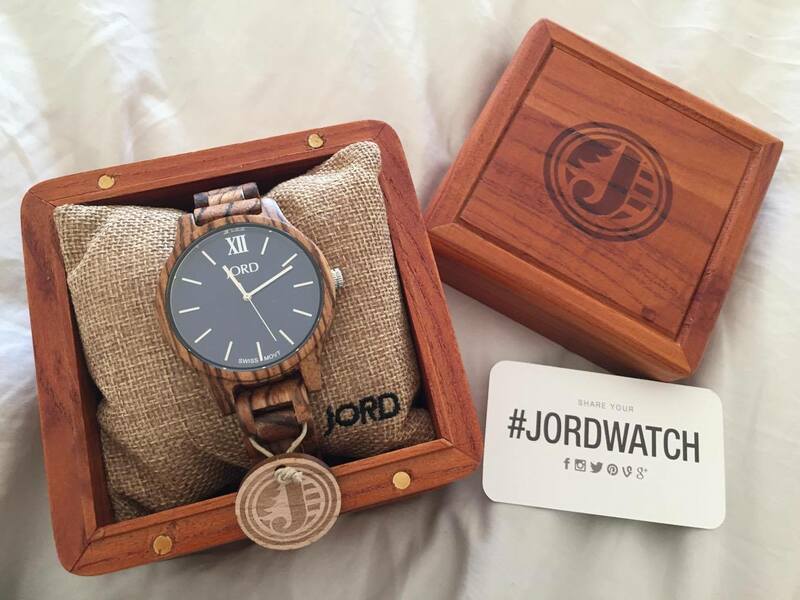 JORD Wood Watches have created a Giveaway to give you guys the opportunity to win a $75 JORD e gift code. Now I know what you're thinking, I never win any giveaways... BUT for this one you will get a $20 JORD e gift code just for entering - so you might aswell! The contest will close 12/18/16 at 11:59pm. And all entrants and the winner will be emailed to let them know of their prizes when the contest ends.